Equipment from the now closed New England Confectionery Company is being sold off at auction. 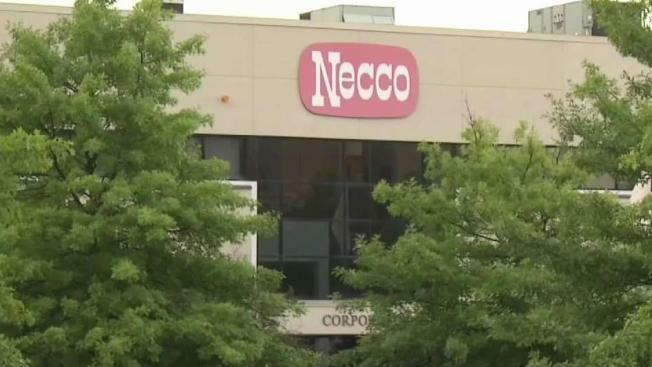 Equipment from the now-closed New England Confectionery Co., or Necco, is being sold off at an online auction. The Revere, Massachusetts plant abruptly shut down its factory on July 24, leaving its 230 workers stunned and unemployed. They were told to pick up their final paychecks that same Friday. Now, equipment like a malt ball extruder, a nut roaster, and cut and fold wrapper is being sold at an online auction Wednesday and Thursday, according to the Boston Globe. Jim Greenberg, co-president of Union Confectionery Machinery, told the paper there are more than 250 possible bidders registered to participate. Also up for auction are four of Necco's brands: Mighty Milk Balls, Haviland Thin Mints, Sky Bar, and Peach Blossoms. The 171-year-old company, best known for its Sweethearts candies, was sold to Round Hill Investments L.L.C. in July. Rabin Worldwide of San Francisco is handling the online auction.